WHERE IS MY STUFF? FOUND. 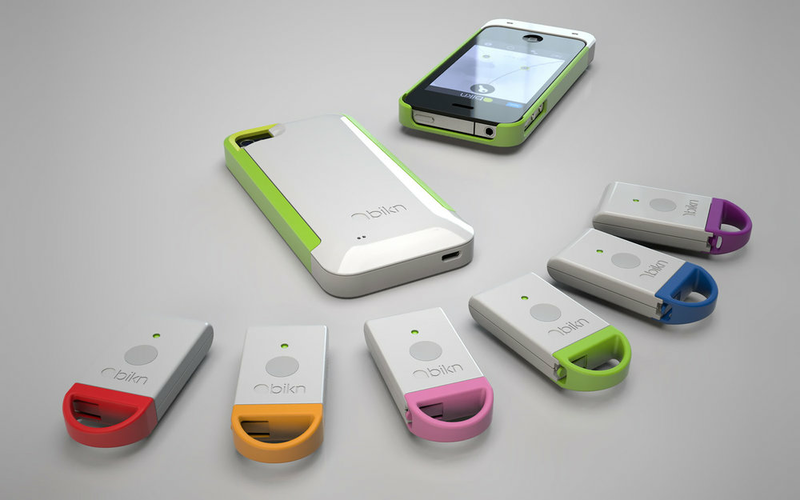 The BiKN (bēk´-in) iPhone Smart Case and Tags enable users to track and find all of their important things– their mobile phone, keys, purse, backpack, kids, pets…the possibilities are endless. The BiKN Smart Case and Tags contain a compact, low power wireless radio, and a rechargeable Lithium ion battery. The case connects to iPhone via docking connector and the BiKN iPhone app helps you to inventory, track, and find all of your important stuff. You can also find your phone, even if the phone is off or has a dead battery. The case and tag are precision-designed to be both sleek and durable. They come in 2 base colors, with 9 available accent colors. App Design by Platypus Strategic Creative.